New Attachments pane allows for viewing attachments to emails stored in a Document Library. New Bookmarks pane allows for navigating a PDF's bookmarks tree. Hovering over the type icon next to a document in SharePoint 2013 shows a preview of that document. Clicking the type icon next to a document in SharePoint 2013 opens that document in Vizit Essential. Added VIZIT_SETTINGS property to allow for the Property Editor to be automatically expanded when Essential is opened. 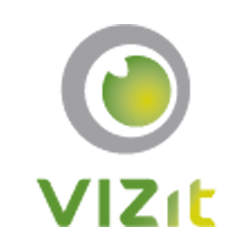 Added Vizit Pro site-level feature which adds a ribbon button and drop down item for Vizit Pro. Added Full Screen Thumb View to Vizit Pro. Fixed an issue that would prevent Vizit from loading documents in sub sites that contained spaces in their path. Fixed an issue that would result in External.aspx requiring authentication when used in sites that allow anonymous access. Fixed an issue which would prevent thumbs from appearing in the List Search Web Part in SharePoint 2013. Fixed an issue which prevented documents from opening in Essential when clicking document links in SharePoint 2013 even with the "Open Documents in Essential" option checked in Central Administration. Fixed display issues for components in the Column Query tab in Pro. Fixed an issue which caused annotations in Pro to be offset from the authoring cursor in IE10.